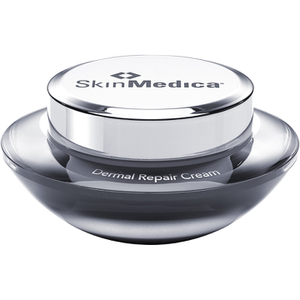 The SkinMedica TNS Eye Repair is a powerful anti-aging treatment that contains a powerhouse selection of extracts and active ingredients to deliver visible results. Suitable for normal to dry skin types, the ultra-hydrating formulation rapidly absorbs into skin with the brand’s proprietary TNS® complex – a balanced combination of human growth factors, cytokines, antioxidants and matrix proteins – which helps maintain and support skin’s cell structure. Bursting with vitamins and peptides, it boosts the lipid barrier and smoothes the appearance of wrinkles and dark circles, promoting a more even and unified tone. With the addition of optical diffuser Boron Nitride, the eye cream leaves the entire eye contour looking lifted, brightened and overall more awake with a youthful looking vitality. Apply a thin layer in the evening to skin adjacent to and beneath the eye. Avoid upper eyelid. I've used so many eye products and this eye cream works. The fine lines that kept getting more obvious have now diminished and don't appear on a normal day, except when I'm very dehydrated or have very little sleep. This cream really works for me. My Esthetician highly recommended this product and most of the review give it 5 stars. I tried it for the first time and immediately felt tingling but didn't give it much thought. A few hours later I had noticed my eyes were puffy, so assumed it to being tired. That evening I was out to dinner and started to have trouble eating, I thought it was a food allergy and ended up in the ER. After meeting with an allergist and ruling out all potential allergens, I told him I started this new product. So he tested me for the metals and minerals he could as many of the products in creams don't have test specified yet. 3 months later I go back to get a facial and mention this to the staff and they had never heard of a reaction like that, So suggested to give it another try. So I did yesterday. By last night, same situation, puffy eyes, swollen lids, stinging sensation. Definitely has reactivity to some with sensitive skin. I'm not particularly allergy prone, and I rarely have reactions to topical products. After applying this the first time, I noticed my eyes were burning a little and made a mental note to apply it more carefully. When I awoke, my under eye area felt dry and tight. As the day progressed, my eyelids, under eyes and upper cheeks became red and swollen. Needless to say, I discontinued use and 3 days later, my eye area is almost back to normal. No idea which ingredient caused this reaction and I've used other SkinMedica products without incident. Because I was still finishing up my prior eye cream when this arrived, I didn't start using this right away and by the time I did, I was outside of the 14-day return window. I wrote to SkinStore about my problem with the product, and they asked to see pictures. I obliged and they refunded my purchase price, so thank you SkinStore. Even my aesthetician noticed a difference! This eye cream works well. It has a very light texture and it would be easy to use too much. A little goes a long way. 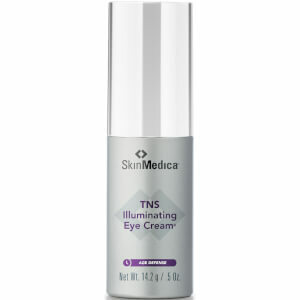 I think it is important for an eye cream to be light because the skin around the eye does not absorb product well. This cream never rolls off when applying makeup. And it works. Was looking for an eyecream that would address fine wrinkles, moisturize and give some anti-aging benefits. It works--in a few weeks lines were diminished. The eye area is moisturized nicely though it has a tendency to get a bit heavy if face foundation comes in contact with it. I have also used it on a fine line that I have over my lip and guess what--that has almost disappeared! 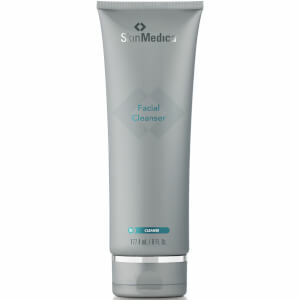 I like this product and will purchase it again because it works! I try lots of different eye creams to make sure I'm always getting the most cutting edge beauty technology. This one is definitely a keeper. This was recommended by my dermatologist. I'm just starting to get some fine lines around my eyes and after just one week of using this product they are definitely less noticeable. The soft, creamy texture ensures the product is absorbed quickly - I love that so I don't have to try to rub something in to the delicate skin around my eyes. I will be trying more products in this line! Only been using for a week...so far so good! I have only been using this product for a week, but so far I am liking it. I haven't been using it long enough to notice any changes in lines/wrinkles, but I do notice that the skin under my eye is more moisturized. The cream absorbs easily and a little goes a long way! New to the produce line. Am amazed withthe night eye cream-so much-I use it in the day also for lack of a good day eye cream.Application is easy-creamstays where youplace it and absorbs quickly. Very luxuriousfeel and delicate eye area is definitely hydrated.